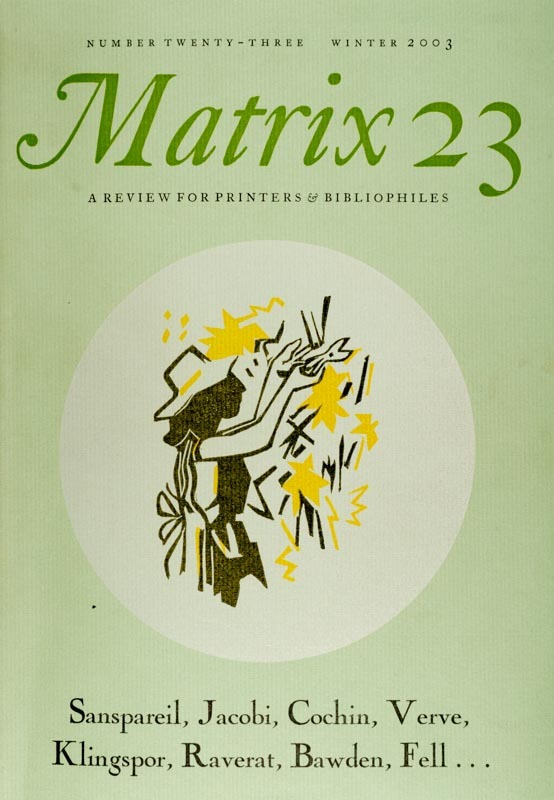 Olive Cook contributed to seven issues of Matrix: ‘The Art of Tirzah Garwood’ in Matrix 10; ‘Peggy Angus and her Wallpapers’ in Matrix 16; ‘The Southwold Columbian’ in Matrix 17; ‘Photography and the Visual Arts’ in Matrix 18; ‘A Triumph of Evocation’ in Matrix 19; ‘Novelty and the Sense of Continuity’ in Matrix 20; and’ A View of the Cotswolds’ in Matrix 21. 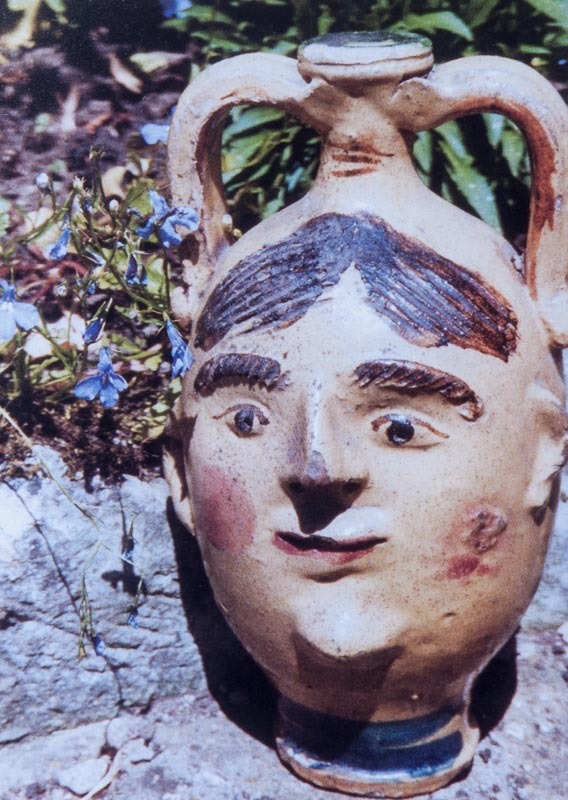 Ornamental jug owned by Olive Cook. I used to tell her that her articles were a touchstone for other articles in the series, and when she received each issue there was an interval before I heard from her, while, as I discovered, she read it attentively from cover to cover. ‘Then she would write a carefully thought out letter, picking out those items that particularly caught her eye. I was often pleased to find that they were favourites of mine too (I think Lucy Archer’s would have been included amongst them), and sometimes I sent copies of her comments to the contributors concerned. 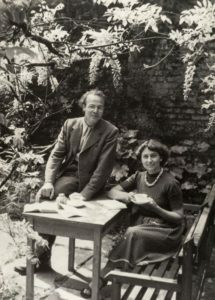 Edwin Smith & Olive Cook in the garden at Hampstead. Lucy brings visits to the Coach House at Saffron Walden vividly to mind. They were unique, never to be forgotten (or hurried) occasions. Lunch often ended at 4 or 5. One came away buoyed up, life felt more precious and vividly coloured than it had earlier in the day. 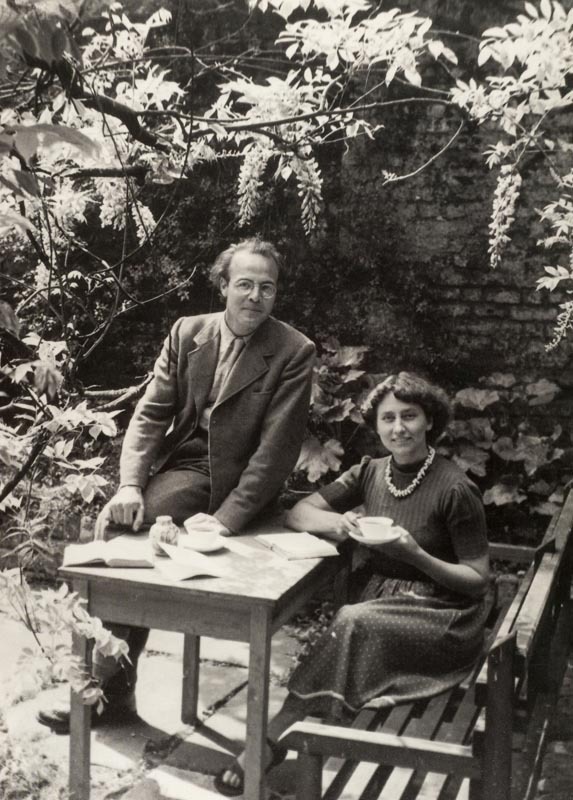 I loved Olive’s story of lunching in a restaurant with a similarly aged friend and discussing their respective spouses’ peccadillos (‘My Darling said, “Can I have Wednesdays off”‘). Such were the shrieks of mirth that the manager had to come across and ask the two ladies to be less noisy, they were disturbing the other diners. Olive was breathless with laughter when she told this tale in her kitchen. It seemed so entirely in keeping with her wickedly enthusiastic nature, the accuracy of her observation, and her extraordinary powers of recall, from all of which Matrix was the fortunate beneficiary.